+1/+1 while you have a relic. 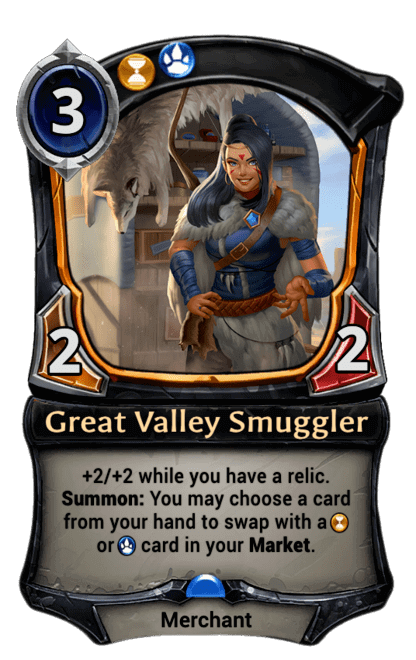 Probably the worst of the set 5 black market merchants. Even with a relic, a 4/4 for 3 is still pretty underwhelming - Auric Record Keeper is hardly a meta defining card after all. However, the flexibility of this market is nice; Being able to put Mirror Image, Disjunction, and Cirso's Cleaver in a single black market together is pretty nifty.